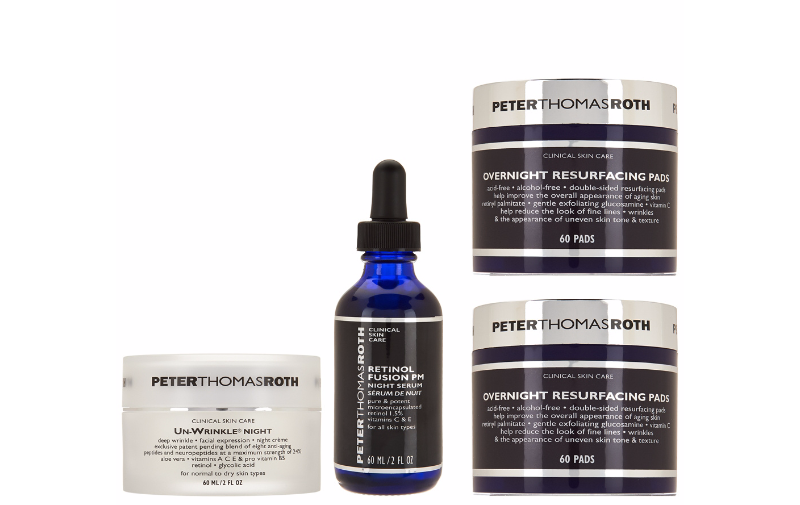 Today only, QVC.com is offering an amazing deal on Peter Thomas Roth skincare! The Super-Size Power Trio with Retinol is $139 and features $442.50 worth of products (which is what you would pay if you bought each product individually at stores like Sephora or Ulta). You guys may know from reading my blog that Retinol Fusion PM is my holy grail retinol product..it has made such a huge difference in my skin and I have honestly seen great results since starting to use it last year. It's the only retinol that doesn't irritate my skin because it's encapsulated and releases slowly over a matter of hours instead of bombarding your skin all at once. I've noticed smoother texture and decreased fine lines to the point where people always think I'm in my early 30's (and I'll be 40 next year). I will definitely be grabbing this set because it includes a 2 oz. bottle of Retinol Fusion PM and I need to stock up. A regular 1 oz. bottle costs $65, so this 2 oz. bottle is worth $130...pretty much the price of this entire kit. It's available on 4 Easy Pays of $34.75 (they divide the cost of the kit by 4 and charge your credit card every month for 4 months) and QVC has an amazing, no questions asked return policy, so you have 30 days to try the products out and send them back for a full refund if they don't work out for you. Will you be trying the new Peter Thomas Roth Super-Size Power Trio? I LOVE your new blog design. WOW, it's so clean and easy to read. Congrats!